Noble Home Improvement, formerly known as IFIX, has been proudly serving Pickering, Ajax, Whitby, Oshawa, and surrounding regions since 2015. Since childhood, owner/operator Sajid Rafiq explored his interest in building, crafting and perfecting things around him with his hands. Often counted on by his friends and family to come to the rescue with home improvement projects, he took a leap of faith by stepping away from his career in finance to pursue his passion of offering quality home improvement services. 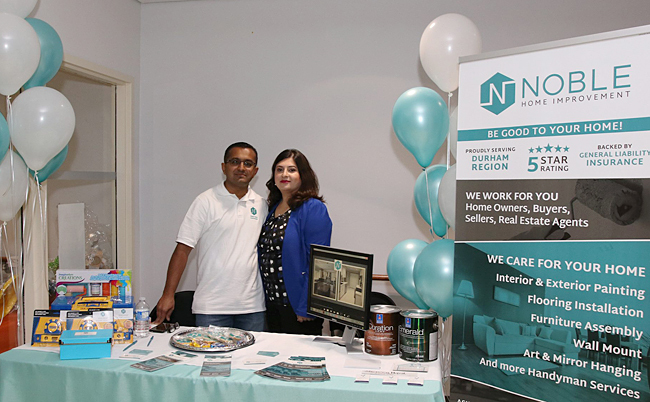 A dedicated husband, and father of two children, Sajid believes that a home is a sanctuary and anyone looking to update their home- whether families, seniors, or first-time home buyers- should have a stress-free experience. Noble Home Improvement is guided by ethical business practices, including doing what we commit to, delivering quality service and offering fair prices that reflect our quality output. Noble Home Improvement is a registered business and backed by General Liability Insurance to provide our clients the peace of mind they deserve.